The force was initially not expected to be involved in any significant combat by the Indian High Command. However, within a few months, the IPKF became embroiled in battle with the LTTE to enforce peace. The differences started with LTTE trying to dominate the Interim Administrative Council, and also refusing to disarm, which was a pre-condition to enforce peace in the island. Soon, these differences led to the LTTE attacking the IPKF, at which point the IPKF decided to disarm the LTTE militants, by force if required. In the two years it was in northern Sri Lanka, the IPKF launched a number of combat operations aimed at destroying the LTTE-led insurgency. Given LTTE's tactics in guerrilla warfare and using women and child soldiers to fight battles, it soon escalated into repeated skirmishes between the IPKF and LTTE. The IPKF began withdrawing from Sri Lanka in 1989, following the election of the V. P. Singh government in India and on the request of the newly elected Sri Lankan President Ranasinghe Premadasa. The last IPKF contingents left Sri Lanka in March 1990. Vishwanath Pratap Singh was an Indian politician and government official, the 8th Prime Minister of India from 1989 to 1990. Singh is known for his decision, as Prime Minister, to implement the Mandal Commission report for India's backward castes. 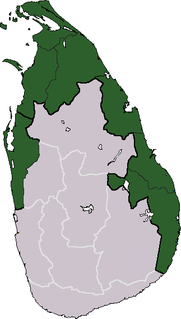 In the 1970s, two major Tamil parties, the Tamil Congress and a split, the Federal Party united to form the Tamil United Liberation Front (TULF), a separatist Tamil nationalist group that agitated for a separate state of Tamil Eelam in north and eastern Sri Lanka  that would grant the Tamils greater autonomy within the federal structure. The first round of civil violence flared in 1983 when the killing of 13 soldiers of the Sri Lanka Army sparked anti-Tamil pogroms—the Black July riots—in which approximately 400 Tamils were killed. The riots only aided in the deterioration of the ethnic relations. Militant factions, including the LTTE, at this time recruited in large numbers and continued building on popular Tamil dissent and stepped up the guerrilla war. By May 1985, the guerrillas were strong enough to launch an attack on Anuradhapura, attacking the Bodhi Tree shrine–a sacred site for Buddhist Sinhalese–followed by a rampage through the town. At least 150 civilians died in the hour-long attack. Following Operation Poomalai, faced with the possibility of an active Indian intervention and lacking any possible ally, the President, J. R. Jayewardene, offered to hold talks with the Rajiv Gandhi government on future moves. The siege of Jaffna was soon lifted, followed by a round of negotiations that led to the signing of the Indo-Sri Lankan Accord on 29 July 1987  that brought a temporary truce. Crucially however, the negotiations did not include the LTTE as a party to the talks. The first Indian Army troops to be inducted into Sri Lanka were a ten thousand strong force from the 54th Infantry Division commanded by Maj. Gen. Harkirat Singh, which flew into Palali Airbase from 30 July onwards. This was followed later by the 36th Infantry Division. The Indian intelligence agencies failed to consistently provide accurate information to the forces. One example is the Jaffna football ground massacre. 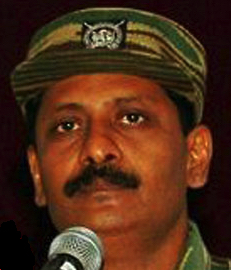 The LTTE's disinformation machinery leaked information to the Indian army that the LTTE leader Velupillai Prabhakaran was hiding in a building near the Jaffna university football ground. [ citation needed ] A major operational plan was chalked out by the Indian generals to capture him alive. The plan involved airdropping commandos on the ground, while tank formations would move to surround the area, to prevent anyone from the stadium and its surrounding buildings to escape. Lieutenant General Denzil Lakshman Kobbekaduwa, RWP, RSP, VSV, USP, rcds, psc, SLAC was a Sri Lankan General. He led some of the most successful military operations in the early part of the Sri Lankan Civil War, such as Vadamarachchi Operation and Operation Balavegaya. He was mortally wounded and his commanders and staff killed when the Land Rover they were travelling in hit a land mine in the island of Kayts while making preparations for Operation Final Countdown the proposed invasion of the Jaffna Peninsula. David Buell Sabapathy Jeyaraj is a Tamil Canadian freelance journalist of Sri Lankan origin. He currently writes articles for two Sri Lankan newspapers, The Daily Mirror with his own column in it and the Daily FT, and also runs his news blog, dbsjeyaraj.com. The 1989 Valvettiturai massacre occurred on August 2 and 3, 1989 in the small coastal town of Valvettiturai, on the Jaffna Peninsula in Sri Lanka. Approximately 64 minority Sri Lankan Tamil civilians were killed by soldiers belonging to the Indian Peace Keeping Force. The massacre followed an attack on the soldiers by the rebel Liberation Tigers of Tamil Eelam cadres. The rebel attack had left six Indian soldiers, including an officer, dead and another 10 injured. Indian authorities claimed that the civilians were caught in crossfire. Journalists such as Rita Sebastian of the Indian Express, David Husego of the Financial Times and local human rights groups such as the University Teachers for Human Rights have reported quoting eyewitness accounts that it was a massacre of civilians. George Fernandes, who later served as defense minister of India (1998–2004), called the massacre India’s My Lai. On 5 October 1987, 12 Tamil Tigers who were taken into custody by the Sri Lankan Navy committed suicide. They were brought to Sri Lankan Army base in Palali with 5 other unrelated individuals. When Sri Lankan Army attempted to take them to Colombo for interrogation, the 12 committed suicide by swallowing cyanide capsules. 1 2 3 The Peace Accord and the Tamils in Sri Lanka.Hennayake S.K. Asian Survey, Vol. 29, No. 4. (Apr. 1989), pp. 401–415. 1 2 3 "J N Dixit (ex-Indian Ambassador to Colombo) speaking to Rediff.com" . Retrieved 26 November 2014. 1 2 John Pike. 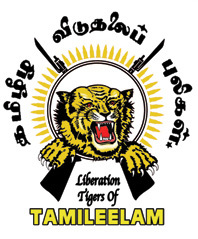 "Liberation Tigers of Tamil Eelam (LTTE), World Tamil Association (WTA), World Tamil Movement (WTM), Federation of Associations of Canadian Tamils (FACT), Ellalan Force. GlobalSecurity.org" . Retrieved 26 November 2014. ↑ "A commission, before it proceeded to draw up criminal proceedings against others, must recommend Indira Gandhi's posthumous prosecution Mitra A. Rediff on Net" . Retrieved 26 November 2014. ↑ "Research and Analysis Wing. Fas.org". Federation of American Scientists. Archived from the original on 22 April 2013. Retrieved 26 November 2014. ↑ The Colombo Chill. Bobb D. India Today . 31 March 1986. p. 95. 1 2 3 "Operation Poomalai – India Intervenes" Bharat-rakshak.com Archived 7 September 2006 at the Wayback Machine . 1 2 "ETHNIC POLITICS AND CONSTITUTIONAL REFORM: THE INDO-SRI LANKAN ACCORD. Marasinghe M.L. Int Compa Law Q.Vol. 37. p551-587" (PDF). Archived from the original (PDF) on 16 June 2007. Retrieved 26 November 2014. ↑ "Sri Lanka: The Untold Story Chapter 35: Accord turns to discord" . Retrieved 26 November 2014. ↑ "New Delhi & the Tamil Struggle. The Indo Sri Lanka Agreement. Satyendra N. Tamil Nation" . Retrieved 26 November 2014. 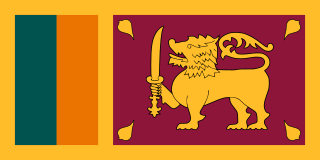 ↑ "Sri Lanka- war without end, peace without hope. Colonel(retd) A A Athale" . Retrieved 26 November 2014. ↑ "Asia Times: India/Pakistan". www.atimes.com. ↑ "Statistics on civilians affected by war from 1974 – 2004" (PDF). NESOHR. Retrieved 2008-11-15. ↑ Sebastian, Rita (24 August 1989). "Massacre at Point Pedro". The Indian Express. pp. 8–9. ↑ Somasundaram, D. (1997). "Abandoning jaffna hospital: Ethical and moral dilemmas". Medicine, Conflict and Survival. 13 (4): 333–347. doi:10.1080/13623699708409357. ↑ "Chapter 36: Indians rule the roost". Asian Times. Retrieved 2007-01-30. ↑ Patranobis, Sutirtho. At IPKF Memorial, India finally pays homage. [ permanent dead link ]Hindustan Times, 15 Aug 2010, Colombo. Retrieved 17 August 2010.